The print version China Picture Book is also available for sale at Amazon.com for $19.95. The CEO Clubs has a new 30,000 sq foot CEO club house under construction in Tianjin - Tianan Cyber Park, No. 2 Building, Tianjin, China. It is a 14 story building and we have first two floors: restaurant, wine bar, cigar bar, meeting rooms, conference rooms. There will be a celebration in the spring to celebrate founder Joseph Mancuso's birthday along with the Mayor of Tianjin. Click Here to view pictures of the building. Click Here to view details of the new facilities. 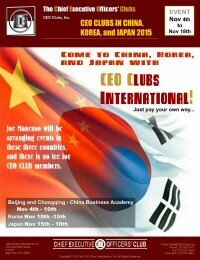 The CEO Clubs in China, Korea, and Japan, 2015! As CEO of CEO Clubs in China, Mr. Li is focusing on developing new business opportunities, including consulting, familiarization with U.S. and China economic institutions and culture. 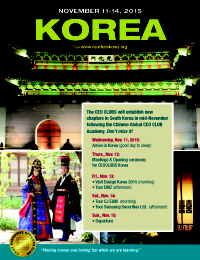 CEO Clubs in China is under great support of US CEO Clubs, a non-profit organization with 30 year experience and over 5000 members. He concurrently serves as "central facilitator" on CEO International Business Services Program which is a unique program exploring business from a CEO's perspective. During his staying in U.S., Mr. Li has served as a visiting scholar in the college of Business and Public Administration of Old Dominion University and has been an energetic and industrious contributor to the college and to many organization in the surrounding community. After graduation, he established Sino-American Exports International Inc USA. 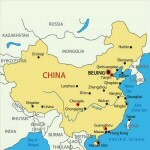 He created the entire organization from importing and exporting between China and U.S.A. for more than 15 years. He previously served as an official in Ministry of Finance of Peoples Republic of China for 10 years. His insight and understanding of the interface between the two economic systems and cultures is truly on the "cutting edge" of our existing knowledge. Mr. Li received a bachelor degree in finance and banking from Centre Finance and Banking Institute in Beijing. Also, Li received a bachelor degree in English from Beijing Foreign Languages School. Copyright � 1998-2018 By CEO Clubs International, Inc. All Rights Reserved.